Super tough plastic construction. Thick foam insulation keeps wort hot. 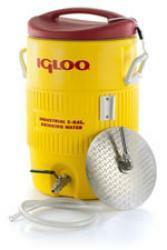 10 Gallon Converted Igloo Cooler Mash Tun With False Bottom. 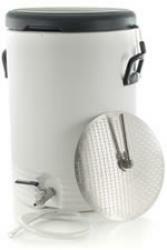 Converted 10 Gallon igloo cooler mash Tun with Stainless Steel false bottom. Stainless tube to ball valve. The converted igloo makes all grain brewing a breeze. 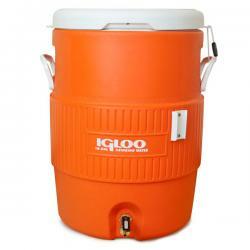 5 Gallon Converted Igloo Cooler Mash Tun with False Bottom. 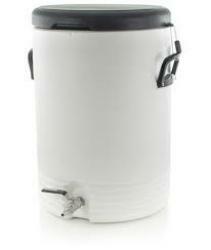 Converted 5 Gallon igloo cooler mash Tun with Stainless Steel false bottom. The converted igloo makes all grain home brewing a breeze. Get into all-grain brewing today! Our 10 gallon orange igloo mash tun with false bottom is the perfect way to move from extract brewing to all-grain brewing! 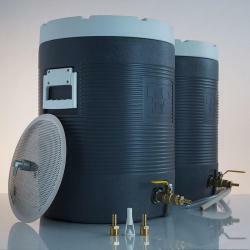 The most important piece of equipment when doing all-grain brewing, this orange igloo cooler has been fitted with a slick false bottom to separate the sweet wort from the grains. 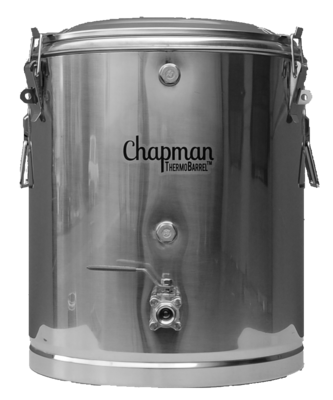 Being an insulated cooler, it is well capable of keeping temperatures at just the right level for enzymes in the grains to be active, breaking starches into sugars and dissolving them into solution. 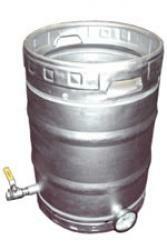 It is good for making 5 gallon batches of beer with upwards of 20 or so pounds of grain. 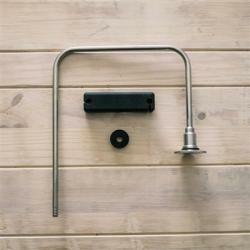 A ball valve with a 3/8" barb is fitted to the front of the cooler and makes draining wort as simple as turning a lever! 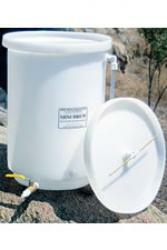 Adjust your flow rate so that you can sparge and get every last bit of sugar out of the grains. 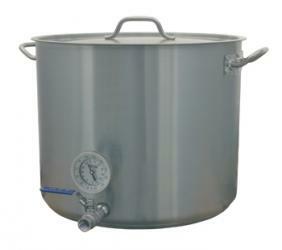 Many professional brewers started with this exact setup. 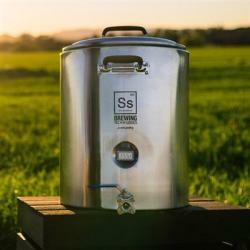 It's now time for you to follow their lead and start all-grain brewing today! 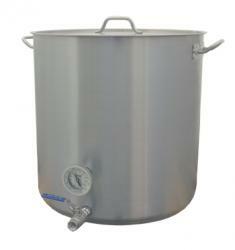 The MiniMash Lauter Tun is a round, 15 gallon tank will hold up to 35 lbs of grain. 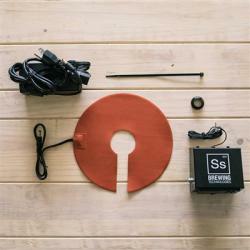 Sparge Head - The brass sparge head has no moving parts.